Everyone wants to know how my "pelagic" trip was. 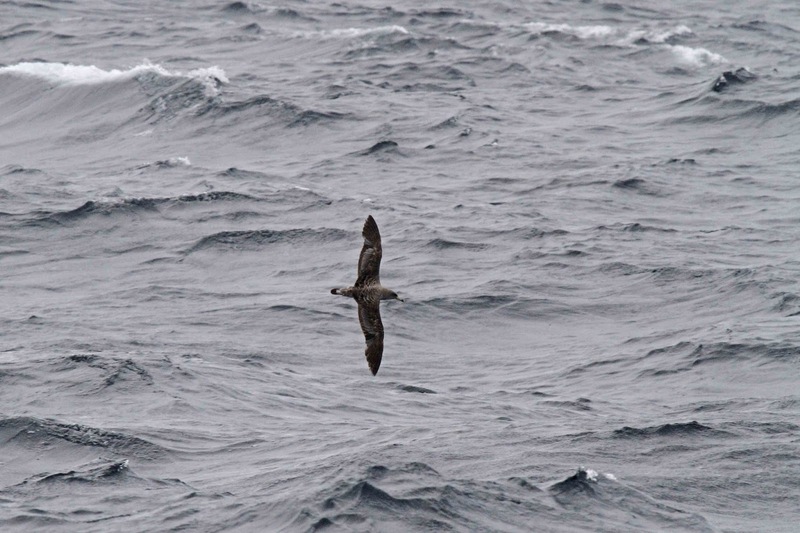 Remember, pelagic means that you go out to sea on a fishing boat to see birds that live out there. We went out of Lewes Delaware on a 95 foot boat named Thelma V. We left the dock at 10 PM on Friday night (after working a full day and driving to Delaware) and headed out about 100 miles to the edge of the continental shelf. The seas were rougher than I expected. Sleeping was almost impossible. I tried to sleep on the top deck but got blown around and splashed by wave crashing over the boat. Then I tried to sleep inside on a bench but the cabin smelled like chemicals and old fisherman's boots. The toilet didn't flush so that smelled bad too. The mates cut up "chum" all night which also smelled. People threw up.Thankfully, not me or Barbara. They got us up at the crack of dawn - not that we were sleeping, mind you. They started chumming to create a "slick" which the birds can apparently smell from miles away. We saw birds flying around. The lighting was terrible. All we could really see was little black dots moving around over the waves - the big, big waves. The leaders started yelling out bird names - "Wilson's Storm Petrals!" "Leach's Storm Petral at 9 o'clock!" "Band-rumped Storm Petral flying across the bow, headed to the slick". Mind you, all of these birds look pretty much the same when you see them on a sunny day. You can imagine the difficulty of picking out the subtle difference in leg length, shape of wings, etc when the birds are flying around at 30 MPH ducking behind 4 foot swells while looking through binoculars on a rocking boat. Sound like fun? NOT! We saw a total of 7 species of birds for the entire day. 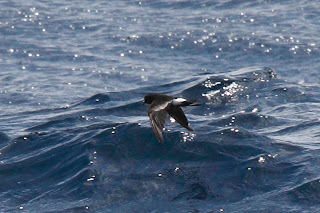 Some people saw 8 species including Manx Shearwater but I was laying down in the cabin trying to nap when that bird flew past. We got back to the dock 1 1/2 hours late. Oh, and did I mention that only 1 of the 7 species counts for the stupid contest? Yup. 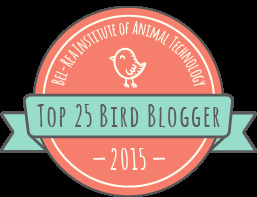 All of the other birds were seen in Maryland waters which is outside of the contest zone. CRAP! 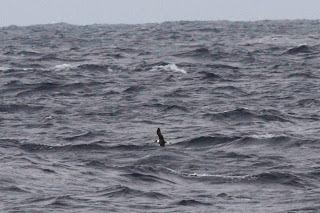 The first is Black-capped Petrel which is a huge life bird for me. I actually got a decent shot of it where you can see the black cap. Of course, you can't see one of the wings which is hidden behind the big, big wave. 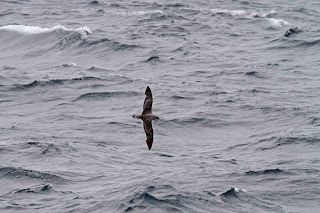 This is Cory's Shearwater which is not a life bird but still one of my favorites. We saw alot of these during the trip. I already saw one for the stupid contest, so I couldn't add it to the list this time. 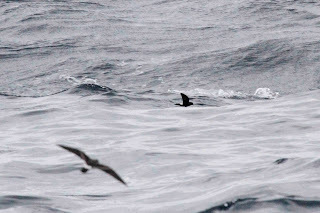 Here is a terrible photo of Leach's Storm Petrel (front) and Wilson's Storm Petral (back). I'm putting on the blog so that you get a better understanding of how difficult it was to pick out the different species. Here is a pretty good photo of Wilson's Storm Petrel. 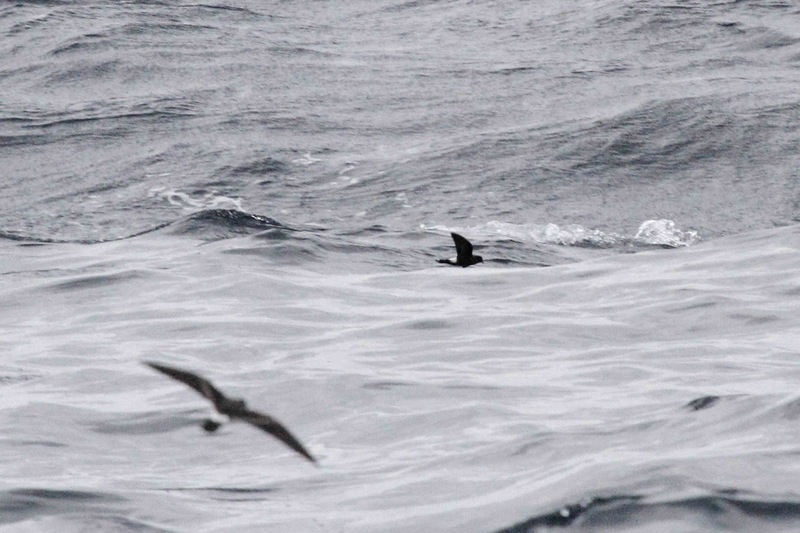 These are the most common storm petrels. We can see them from the beach sometimes. I have posted photos of these birds before. They are the ones that pedal on the surface of the water with their feet. 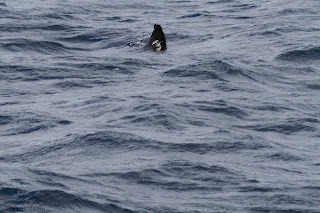 The only other creature that I saw on the trip was this Oceanic Sunfish which is also called Mola Mola. 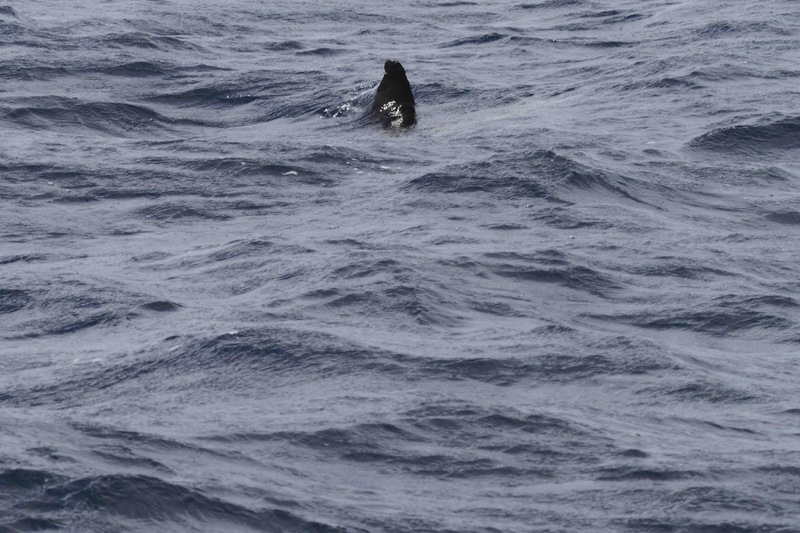 It looks like a shark fin, but it is a really big fish that has long fins. The can weigh up to 2200 pounds! I hate to say it, but I'm signed up for another trip in September. Yes, I am certifiably crazy but I have to go on all of the trips in order to win the stupid contest. 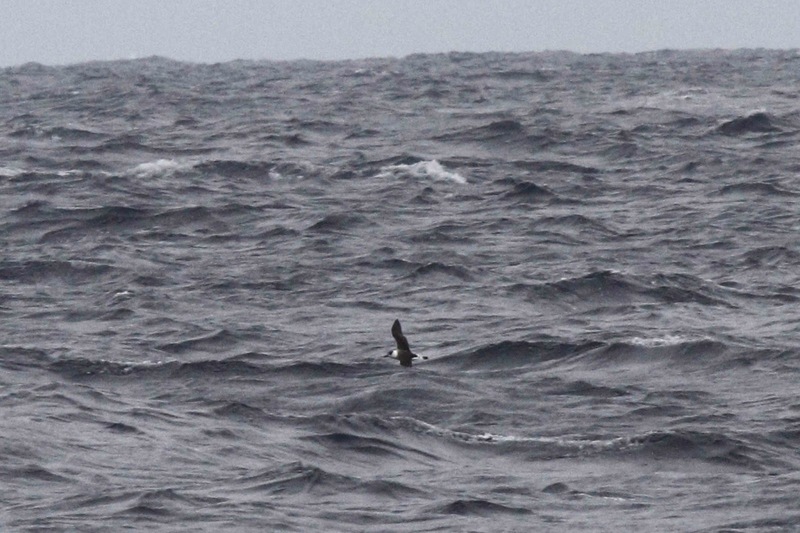 Great shot of the Black-capped Petrel! It was a life bird for me, too.